They don't have a mic. I used a Zalman clip-on mic for a while, but if I were to do it again I'd get a modmic. These days I use a quality desktop mic instead, but that would put you well over budget. I also need something that is going to work with my PS4 and PC. Do it!!! Do it do it do it. I have that setup, but with Sennheiser HD558s. Love the modmic to death. Can headphones plus modmic work on the PS4? If you can use a pair of standard headphone jacks, then I don't see why not. Stay in the 16 - 32 ohm impedance range as well if you can for your headphones. Are the Sennheiser HD518 good. They are on sale on Best Buy for $80. That with the modmic is within my price range. I think pretty much anything in the HD500 range is good, but I have the HD555 so can't speak for the HD518. The 518s are at 50. Would that be a problem? That should be fine, just don't expect them to rock your ears off on the PS4 controller. Also of note, headphones attached to the controller seem to drain the controller's battery much quicker than using an option connected directly to the console. That makes sense. Since, I've started playing Rocket League with GWJers the battery life has been terrible. I've got a DSP I can use. I typically only use it when I want good sound quality. 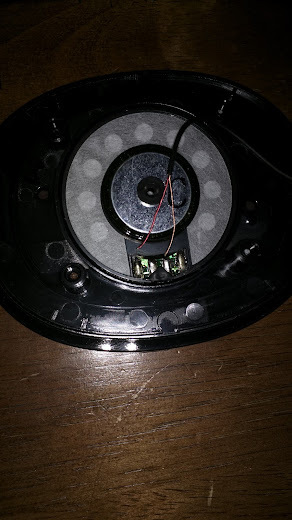 I was in the process of replacing the headband on my headphones (I broke it in a fit of gaming frustration) and when I was removing one of the cups I accidentally pulled the wires from the speaker. Any idea how to reconnect them? I keep buying cheap earbuds, complaining about how quickly they break and how I ought to invest in good ones, then replacing them with different cheap headphones that break quickly. But maybe this time I'll finally break the cycle! These will primarily be used for commuting (by bus) and on "get out of the office and walk around" breaks. I'll be using them with an iPhone 5C. I've been using in-ear earbuds for a long time but will consider over-the-ear headphones if they'll fold up and not take up huge amounts of space in my bag. Bluetooth is tempting -- my tolerance for untangling cords is wearing thin. As for my budget, $125 is probably my max. Do you need inline volume and controls and a mic and all that? If you don't need controls, I recommend seeing if you can find a deal on the Sony XBA-H1's. They tend to hover between $130-$150, but have been on sale for down below $100 multiple times. I loooooooooooooooooove mine. Got them for ~$90 on Amazon. They sound better than some good quality full size headphones I've had in the past. But definitely no in-line mic or audio controls on those. Inline volume and controls are not exactly a must-have, but something that didn't have them would have to be seriously awesome otherwise. I've gone up and down the price scale on earbuds and my assumption is that the extra craftsmanship on a very expensive set of earbuds is not going to give you enough extra use to come close to making up for the cost. You really need to want the extra sound quality. Otherwise, it's better just to go through lots of cheap buds. Admittedly, I've never gone over $100. This is a complicated assumption. I did the cheap earbud thing for a bit. Had the plastic sheathing on the wire going to the drivers dry up, crack, and fall apart on two pairs from one brand plus an earlier set from a different brand. One the connection at the driver on the left side just kind of came apart. Another I broke the cable on in a slightly careless moment, but a thicker more robust cable would have likely survived. Instead it just tore and the wires pulled out and that was that. The plastic/rubber sheathing thing drove me particularly crazy because I babied the second pair of those. I currently have two sets of >$100 earbuds (I admit this is stupid... but I am who I am, and I got one set on sale! ) both of which have seen hundreds of hours of use at this point while I make my rounds at work, both have which have already outlasted any three sets of cheaper earbuds I've bought combined. The days at work when I use them I move around a lot. Jogging here and there, up and down ladders that range from 6ft to ~40ft, ducking under equipment, etc. I wear them for hours even when not listening to them because with a nice fresh set of comply foam tips they double as ~28-30db ear plugs to help me avoid some of the machinery noise. And they're still in great shape. If I spent a little extra time cleaning them up and put on a new set of tips they'd look brand new. There's some amount of the old get what you pay for adage there. But there's a caveat, just like with a lot of things. The extra durability you get from things like nice braided cable sheathing or improved overall construction quality will not save them from people who even halfway abuse their earbuds. Do you quickly roll them up and shove them in your pocket? Do you jam them into a pocket on your backpack/messengerbag/handbag/whatever with whatever else you have in there? Do you roll them up around your mp3 player or phone or whatever other device you use? If you do any of the above don't buy any set of earbuds at any cost and expect them to last all that long. That kind of wear and tear will destroy any set eventually. There is no wire sheathing on earth that will let them retain their desired functionality and also survive all that wear and tear over time. I put my earbuds in a little hardside zip up carrying case when I'm not actually wearing/using them. With the nicer pairs this has preserved them very nicely. The case is strong enough that I can drop it into my backpack and not worry about the cord tangling in knots or the wire getting kinked by something. Doing that with one pair of the cheapies did prolong its life a little bit... until the wire sheathing started drying up and doing the aforementioned falling apart thing. With the nicer sets? Still kicking. But if you don't want to take the extra effort to take care of them, it's no worth spending the extra cash. Keep buying whatever cheap set sounds best to you that's comfortable to wear and you don't mind being disposable. Are there folding headphones that would have a fighting chance? I've got a similar use case (bus commute), and I just got a pair of Sony MDRV6s. They're a little bigger, but they fold up and go in a bag that they come with. In the bag, they take up about the same amount of room as the tupperware I put my sandwich in. The cord is spiral, and probably heavier than you really want for walking around, but it works out okay. Sound is good, and they block out a lot of noise. I switched from a cheapo pair of buds, and I'm happy. I think I got them for about $50 on sale, though normally they go for a bit over $100, I think. I really like my Jaybirds. I prefer the Klipsch fit to about anything, and I've had no problems using their two year warranty to get brand new replacements. And Woot has sales all the time on them. That said, for cheap, the Xiaomi Piston 3's sound pretty good, come with braided cables, and seem well made. They sound really good for the sub $15 I paid for them. I did break the actual plug between rings by actually catching the plug on a rail, and it's really a good thing for them to break there instead of ruining my phone. Waiting on the slow boat from China for a replacement set. The Xiaomi's aren't near as comfortable in my ears, but they're better than some like my Audio Technica's. I think my ear just likes the smaller barrel size that Klipsch has in their IEMs. Warning: Lots of counterfeits out there, so be careful. I don't even know if that Amazon listing is legit, I haven't checked. This is just an IMO but this is the best suggestion I've seen/heard to this particular issue. So here's a fun one that I'm having exactly zero luck getting info on... which sets of IEM's with built in mics will work with the 3.5mm jack on the newer Xbox One controllers? I'm having a hell of a time finding anybody who's tried basically any of them. I own zero sets with built in mics so I don't have any to test and I don't want to just buy something at random and hope either. The following images show the differences in the CTIA and OMTP standards. 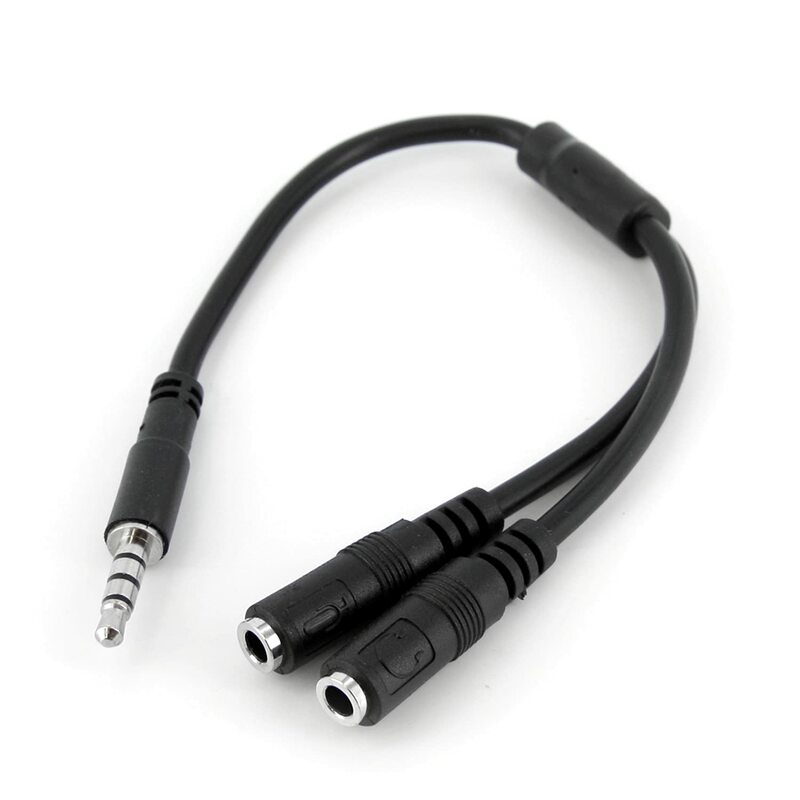 The CTIA standard has the ground section of the jack closer to the end of the cable while the OMTP standard has the microphone section of the jack closer to the end of the cable. Who wants to order these beauties, to let us know how they sound? We need so one to take one for the team, they're only $50,000ish.